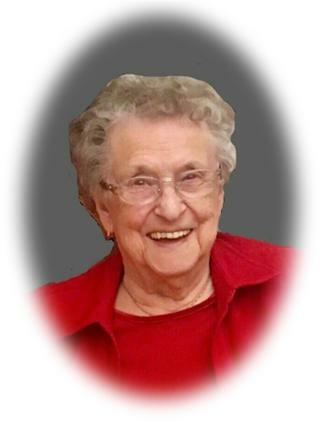 Anna (Herlick) - September 11, 1930 -January 14, 2019: It is with sadness that the family announces the passing of their wife, mother, grandmother, great grandmother, sister, aunt and friend. Anna is predeceased by her parents, Anton and Mary Herlick, brothers Frank and Joe Herlick, and sister Veranica Fuhro as well as numerous brothers-in-law and sisters-in-law. William and Anna were married on May 28, 1949. She leaves to mourn her passing: her husband William, and their family: son Maurice (Judy), daughters Rosanne (Terry), and Cathy (Jim); 5 grandchildren, 9 great-grandchildren; sister Bertha Koszman, sisters-in-law Cristine Herlick and Betty Herlick, and many nieces, nephews and friends. Mom and Dad lived on the farm near Tribune where they raised their family. Mom especially loved her cattle, gardening, hosting family events and meals, quilting and was a supporter of the Tribune community. In 2003 mom and dad sold the farm, purchased a home in Weyburn and then into a condo in 2014.